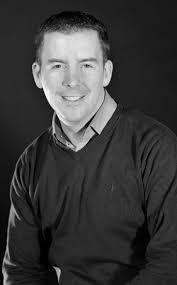 Jim is a former director and producer with Michelle Lee of studio2stage which is a 9 day Irish music and dance show production experience for young performers that want to break into the touring industry. studio2stage is held in New Jersey USA every July. Aisling McCabe started dancing at the age of 3 in her hometown of Cork. She competed all over the world and placed highly in World and National competitions. She has 12 years of professional dance experience having danced with the biggest selling musical of all time – Michael Flatley’s Lord of the Dance. She performed as principal dancer with the company for 6 years, playing the principal role alongside Michael Flatley numerous times, this being one of the most prestigious roles in the entertainment industry. She has performed for audiences of over 20,000 people. Some of the most impressive performances being for Prince Charles and Camilla Parker Bowles in Buckingham Palace alongside Michael Flatley, and a residency in The Venetian Resort in Las vegas. She also performed to sold out shows in the 3 Arena in Dublin and the Wembley Arena in London. Aisling also took part in Michael Flatley’s production Feet of Flames, in 2009, in which she played the principal role for a recording released on DVD called Michael Flatley Raw! She was promoted to dance captain in 2009, and managed a troupe of over 40 performers for 4 years. Working alongside dance master Marie Duffy Pask and Michael Flatley. This was a huge responsibility, making sure the show was to the highest standard on a daily basis before being viewed by thousands of people. In 2013 she passed her TCRG exams with Coimisiun le Rince Gaelacha, the governing body for Irish Dance, and went on to set up the highly successful Cabe Academy of Irish Dance in Dublin. She is owner and teacher at the academy. She has performed with Damhsa in between traveling the world since 2011, and is delighted to now have a managing role in Ireland’s premier Irish Dance Entertainment Company, Damhsa. Sarah-Mai Fitzpatrick, 27 began dancing at the age of 2 at her Mother Josephine’s dance school the Mahon School of Irish Dancing. 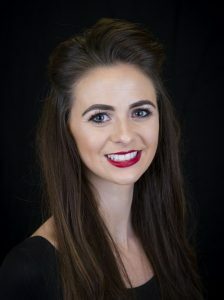 Having competed and winning numerous titles for 18 years in many competitions nationally and internationally, at 18, Sarah-Mai won the opportunity to dance with Riverdance in Wexford Opera House, as part of competition ran by a local radio station. Sarah-Mai began her professional career soon after with touring show Ragús, travelling to places such as France, Holland and Japan in her first year. Sarah-Mai, 8 years on has travelled to many countries including the UK, China, Russia, Israel, Luxembourg, Germany, Azerbaijan, Holland, France, Switzerland, Belgium, USA, Australia, New Zealand, Portugal and Canada with touring companies Rhythm of the Dance, Celtic Legends & Irish Celtic. Performing the female lead role with Rhythm of the Dance in Russia, also to over 10,000 audience members in the NCPA Beijing, China and in her home town of Wexford’s National Opera House, where she began her professional dance career. Performing with Rhythm of the Dance in Dolly Parton’s Tennessee Theme Park “Dollywood” with the troupe spending 3 days with Dolly herself, celebrating 30 years since the opening of the theme park and residing there for a month as the Irish representatives in her “Festival of Nations”. Working for the Damhsa company has also brought great opportunities such as dancing with ‘The Chieftains’ during the visit of the USA’s Vice President Joe Biden, performing in Canada at the Folklorama Festival and performing as part of John Anderson’s ‘The Voice of Ireland Celebration’ in Beijing which included a cast of 16 Damhsa dancers, drummers and singers. 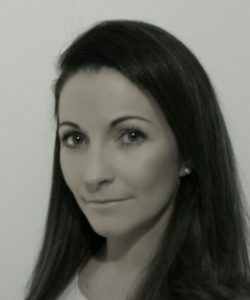 While at home Sarah-Mai can be found teaching at the Mahon School of Irish Dancing and dancing in Damhsa’s famous Belvedere Irish Nights.